From Strictly's polished dance floor to the equally glamorous world of musical theatre, Ed Balls embarks on his latest post-political adventure for BBC Radio 2. 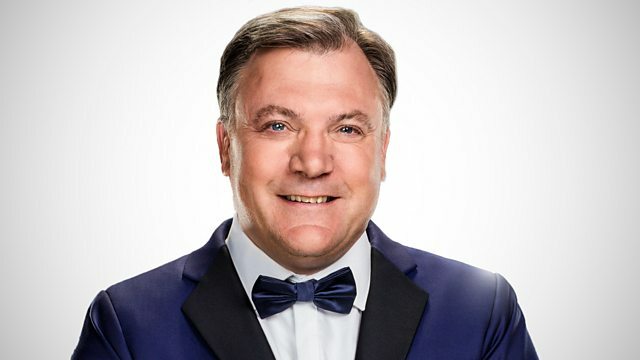 From Strictly's polished dance floor to the equally glamourous world of musical theatre, Ed Balls embarks on his latest post political adventure for BBC Radio 2. During the course of his exploration of all things musicals, Ed looks at the recent phenomenon of socially aware shows that are playing to mass audiences. These include the Pulitzer Prize winning Hamilton which opened on the 6th of December at the newly revamped Victoria Palace. He'll also be talking to performers including his former Strictly sparring partners Lesley Joseph (currently appearing in Young Frankenstein) and Danny Mac who is in the middle of an extensive UK tour with Sunset Boulevard. He also goes backstage at London's Piccadilly Theatre to compare notes with Craig Revel Horwood. Craig has recently been juggling his judging commitments as Strictly Come Dancing's 'Mr Nasty' along with playing the equally unwelcoming Miss Hannigan in Annie. Typecasting perhaps? Ed also receives a masterclass from that doyen of producers and legendary impresario Bill Kenwright on achieving just the right mix of ingredients to create a hit show. He also learns about the business side of staging musicals as well as the risks involved. And Miranda Hart will be dropping by to compare notes with Ed on their favourite musicals and to discover which of them enjoyed the best Sound of Music guided tour during their pilgrimages to Salzburg. Plus the best sounds from musicals old and new including Annie, The Lion King, Les Miserables, Godspell, Rent, Dreamgirls and Blood Brothers. Wicked: Original Broadway Cast Recording. Annie: Original Motion Picture Soundtrack. Les Miserables: In Concert at the Royal Albert Hall. Oliver! 1994 London Palladium Cast Recording. Rent: Original Broadway Cast Recording. Annie: Original TV Soundtrack 1999. The Sound of Music Original Soundtrack. A Chorus Line: Original Broadway Cast Recording. Hairspray: Original Motion Picture Soundtrack. Joseph & The Amazing Technicolor Dreamcoa. West Side Story: New Broadway Cast Recording. The Best of Barbara Dickson. Made In Dagenham The Musical. The Lion King: Original Broadway Cast Recording.